What is one of my new favorite trends? Crowns. And what will I be demanding when I get home from my first day at the new job this afternoon? Also a crown. 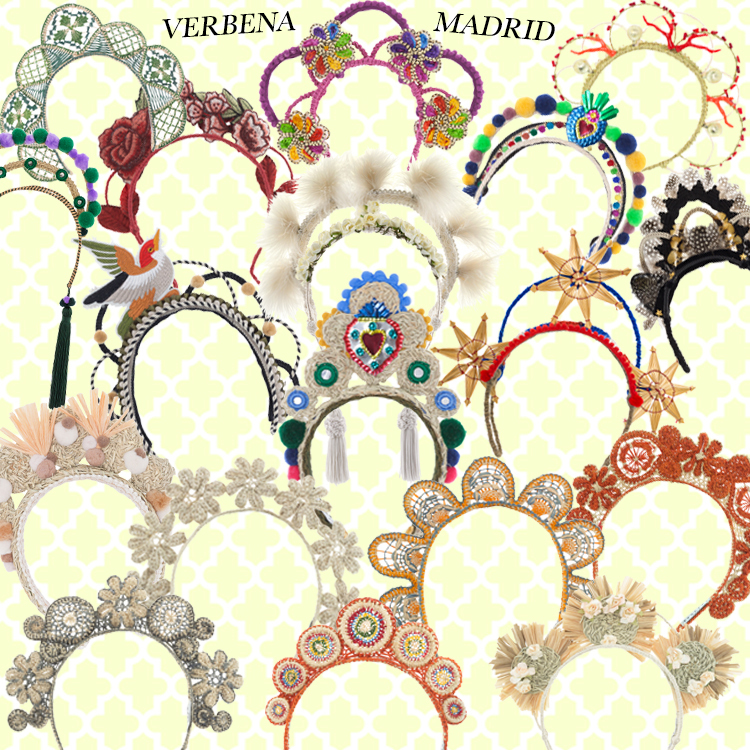 Cue Verbena Madrid, a brand offering different types of beautiful headband-crowns, each handmade in Spain. Now before you start mumbling to yourself "gurl you think you're royalty? where in the world do you plan on wearing a crown!?" - let me give you some expert examples of how these head pieces are becoming the queen of all accessories (pun intended). Check them out in Vogue Mexico, on Margherita Missoni, and the ladies behind Latin American e-boutique CREO Consulting. The term "verbena" translates to a traditional Spanish party - so what better way to stand out as the birthday-girl/bachelorette/girl-who-survived-a-day-of-work-after-Labor-Day-weekend than with a fiesta on your head? Trick question: there is no better way.